White Marbled Vinyl LP with a photo book of 12 analog large-format photographs of the glacier in winter and summer. Rapid ice melt has been profoundly shaping the alpine region in recent years. It has become an omnipresent and tangible phenomenon, and an iconic symbol of ongoing climate change. 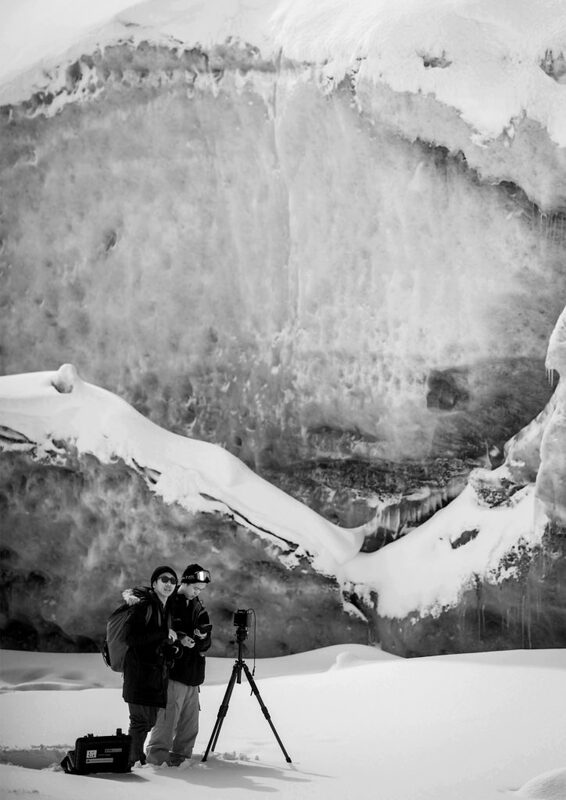 Over the past three years,the Chair of Landscape Architecture of Professor Christophe Girot and students of ETH Zurich have been documenting the melting landscapes of the Morteratsch glacier region. Using analogue photography as well as submersible contact microphones, some large- and middleformat photographs and sounds have been recorded. The impressive sounds of the moving ice mass contrast with the eerie silence of the black and white pictures. The selection of works shown in this exhibition turn the evanescent beauty of the glacier into a strong sensory experience; they thus become the meaningful witnesses of the rapid changes to come in the alpine landscape.